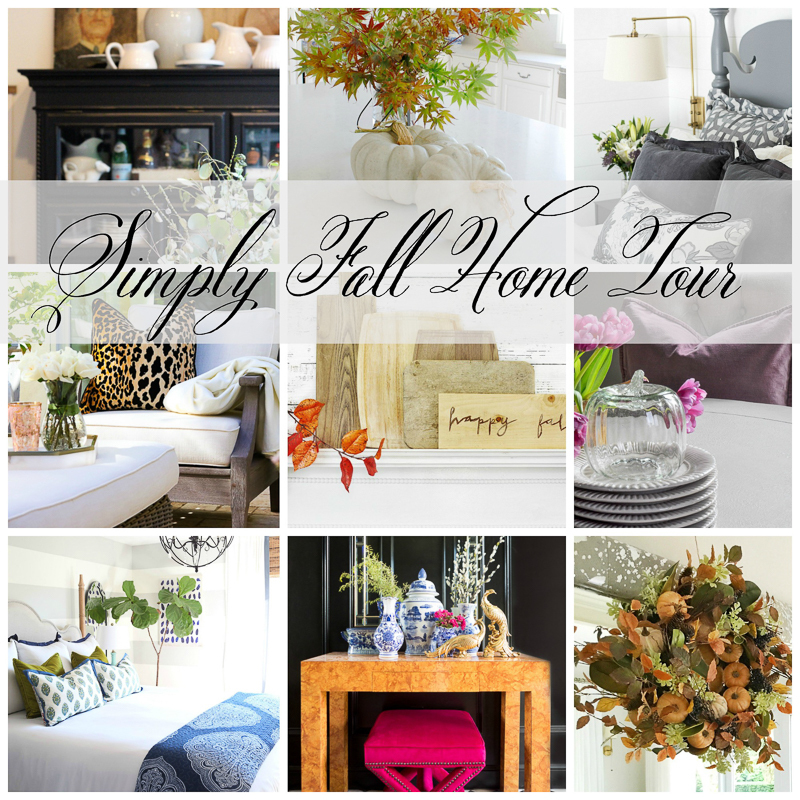 Are you ready for a continued inspirational Fall Home Tour? I know I am! I really enjoy the various styles which make these tours so unique. This group is truly special so I hope you will continue touring by linking through at the bottom of the post. 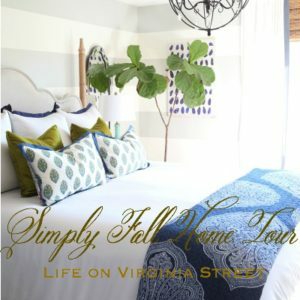 If you missed my first fall tour, you can see it here. Also, a special welcome to those of you coming from Life on Virginia Street. I hope you are enjoying the tour! 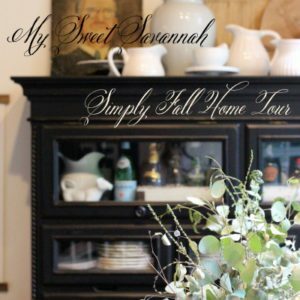 Sarah’s blog is one of my all time favorites, so if you haven’t been there yet, be sure to link through! Fall is typically clad with orange, red and brown hues at nearly every turn. 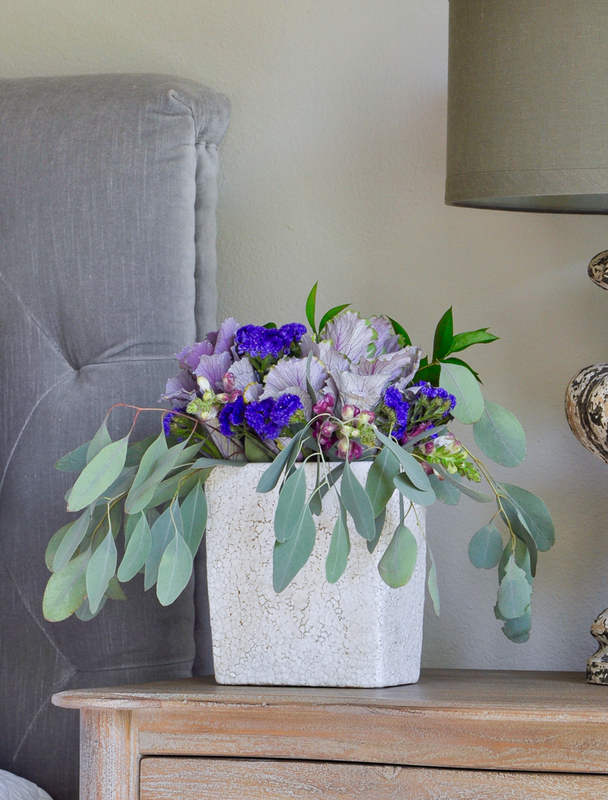 I thought it would be fun to demonstrate how to introduce a non-traditional color into the decor. 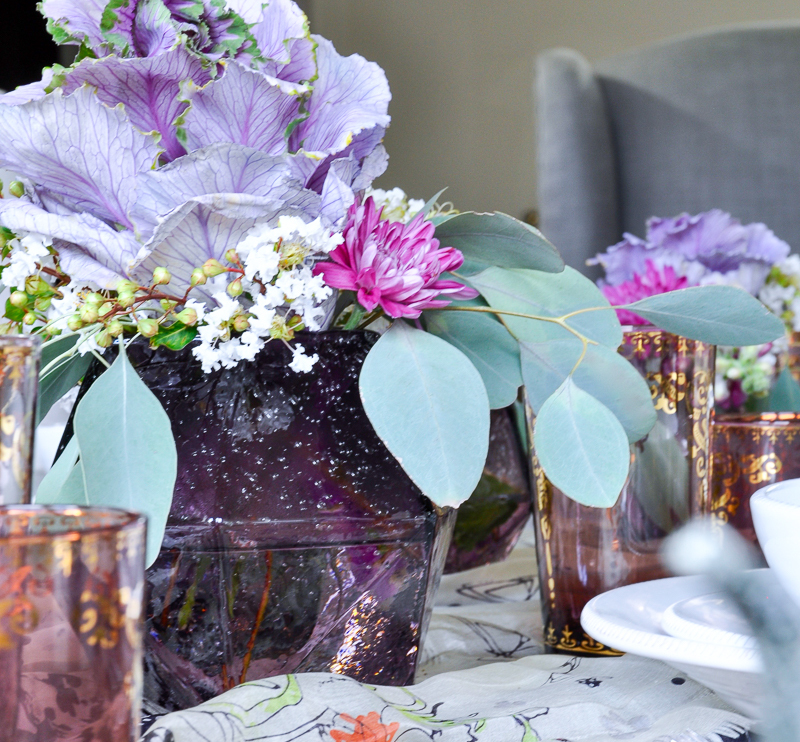 My choice this year is purple and I have added it throughout my home. For this tour, I am starting in the room in which our family often starts day, the breakfast nook. 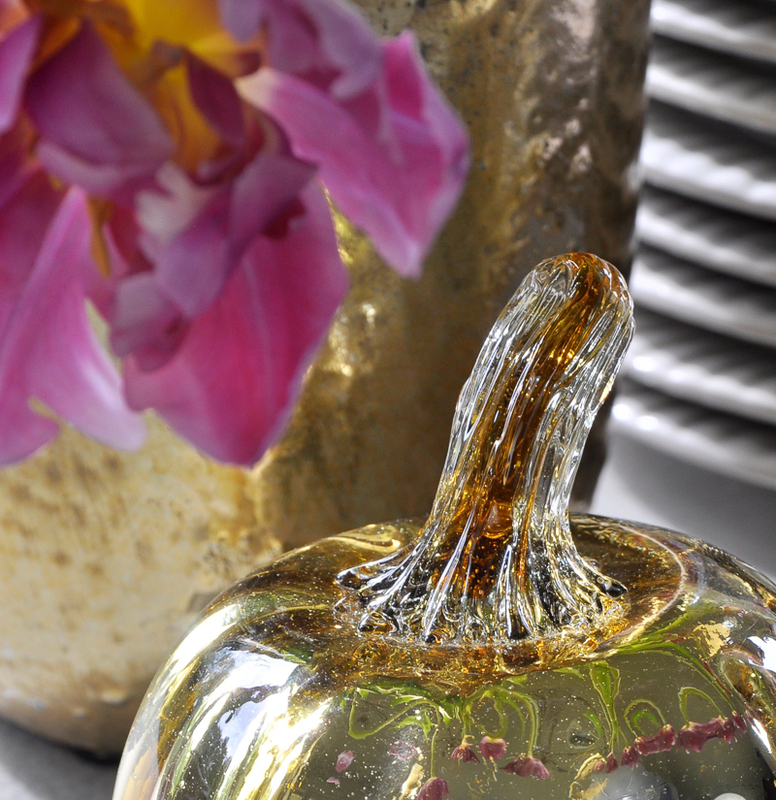 Continuing with the theme of a varying color palate, these glass gold pumpkins provide a wonderful fall accent accent as well as the brass colored potted candle. 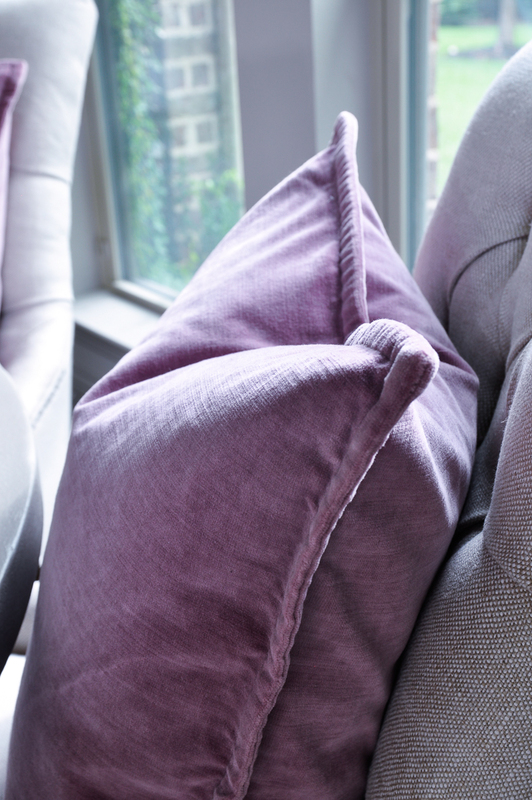 Here, I added purple velvet pillow for warmth and a textural change of pace. 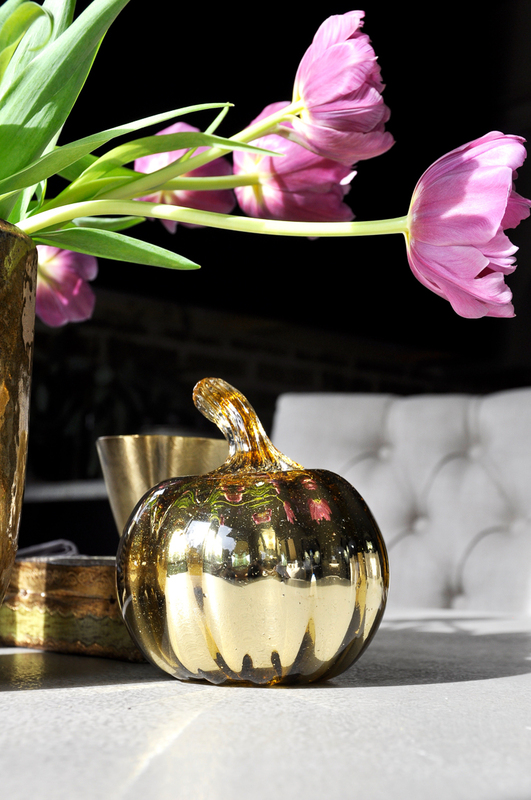 By the way, velvet is in style this fall not only in the home decor realm, but within fashion as well. Up next, the master bedroom. Riley is what they call a “velcro golden” which means he’s always stuck to my side. It can create challenges when I’m trying to photograph! I would love to hear how many of you have a velcro of your own. I added some warmth and color to my master bedroom. 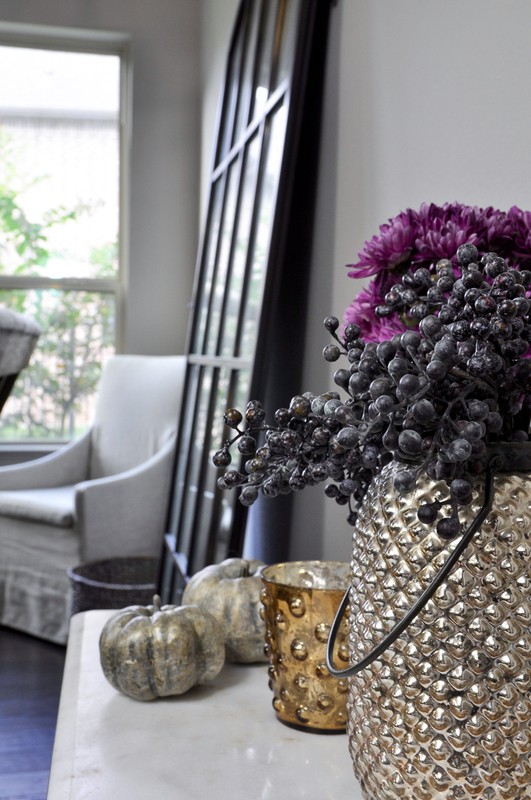 I always try to make sure my home flows from room to room and one way to do that is with an accent color. 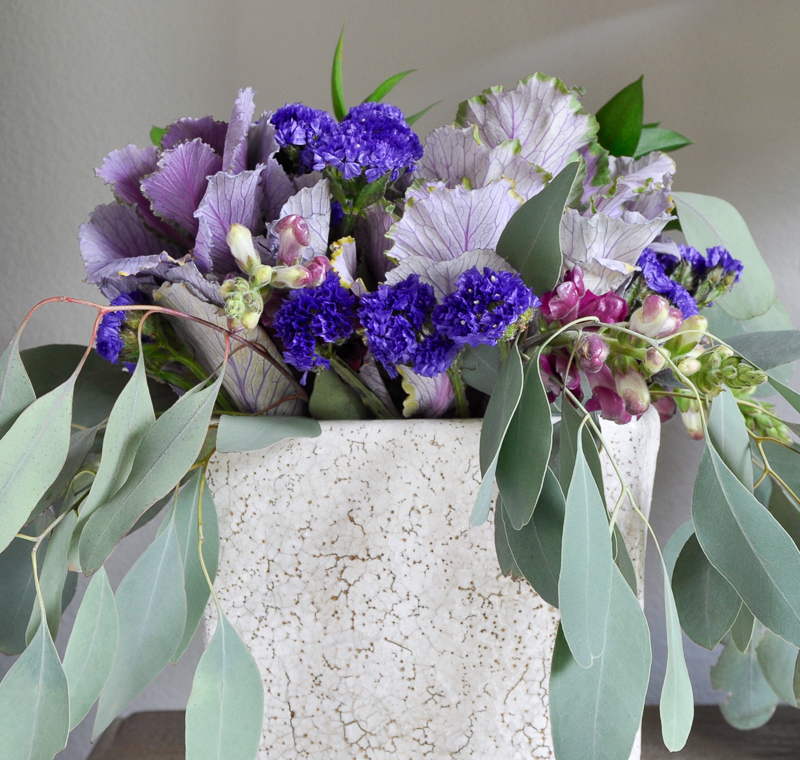 These fall flowers add a vibrant pop of color offering a variety of colors with the purple spectrum. 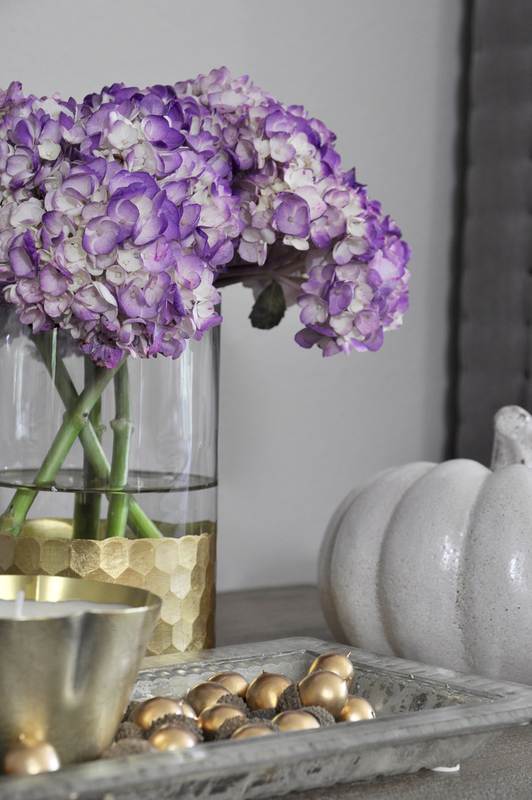 The bedside table is an easy place to add fall touches. 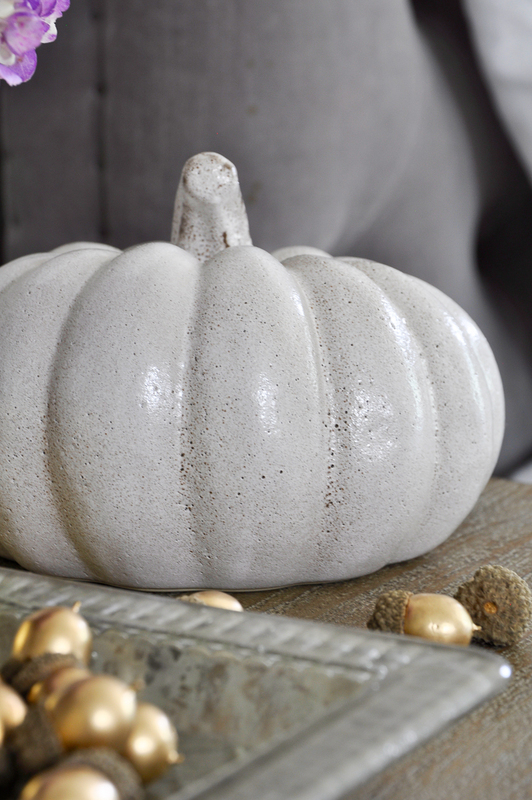 This ceramic pumpkin could work with nearly all color combinations. I adore the contrast to the purple and gray background. 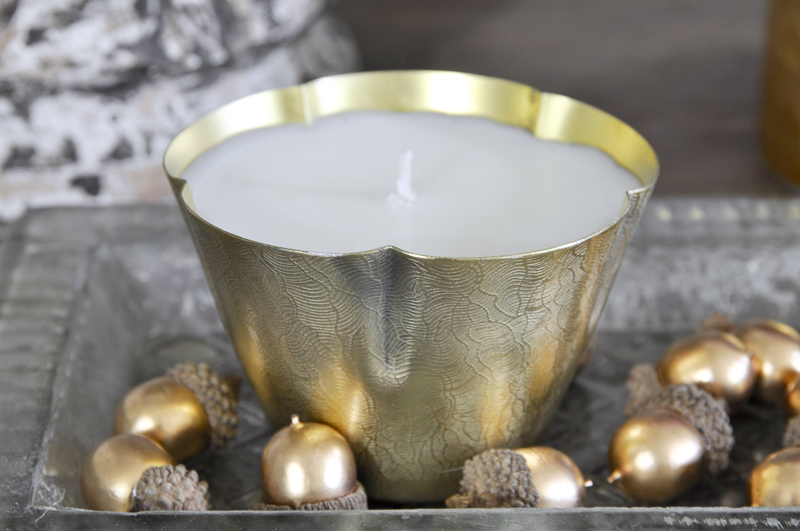 More accessorizing with the brass candle and acorns. 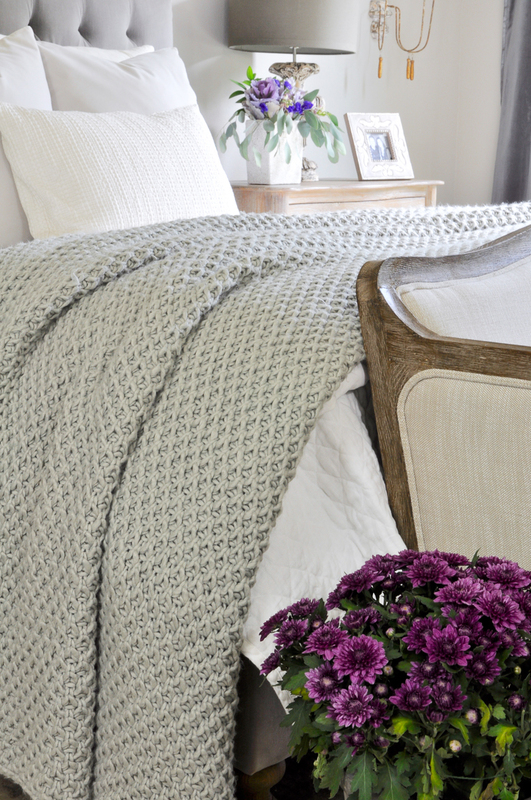 Mums are generally an inexpensive way to add pops of floral color in a variety of hues. Here you will notice some subtle changes to my bedding. 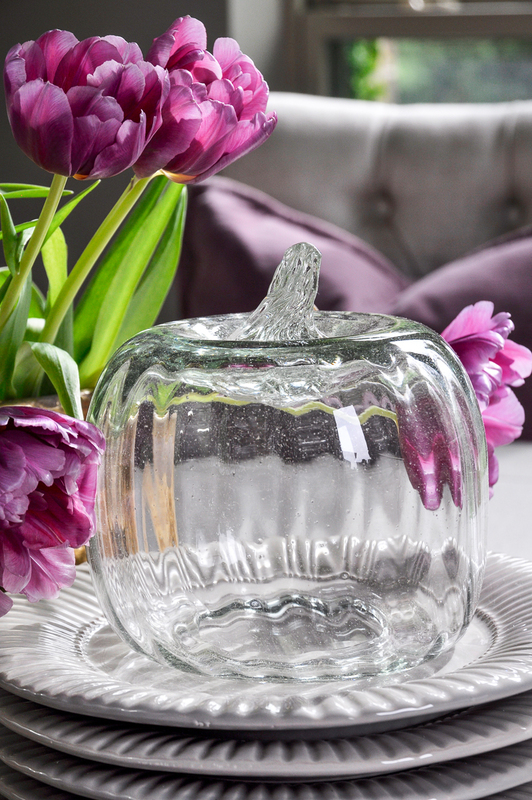 This is one of the more easily changeable aspects within the home for each season. 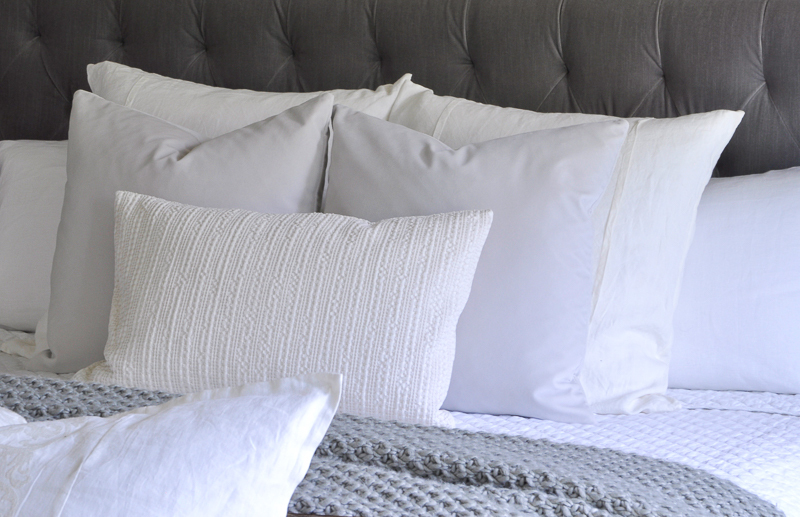 Layers and texture are always at the forefront of my mind when I am updating the look of my bedding. 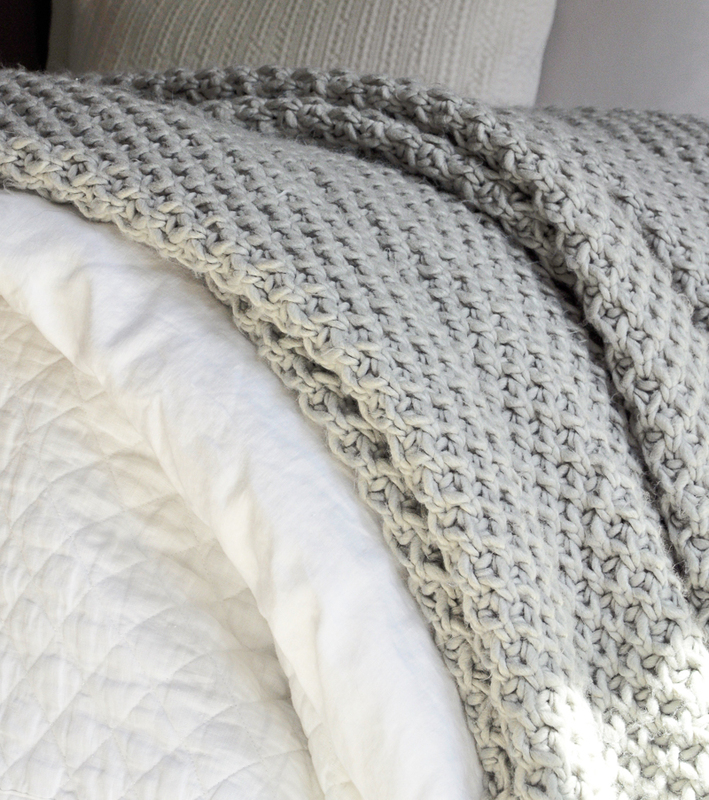 This versatile throw blanket works well year round. 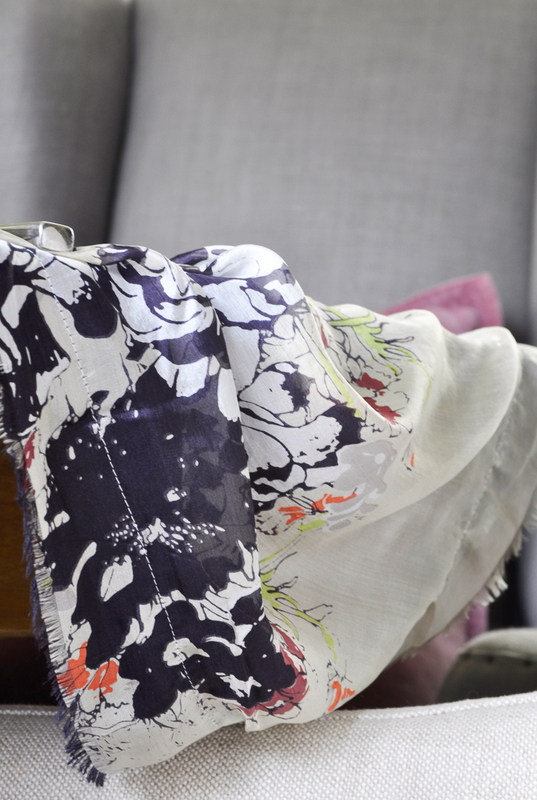 Here you can see the layered look which should accentuate the multiple textures on display. 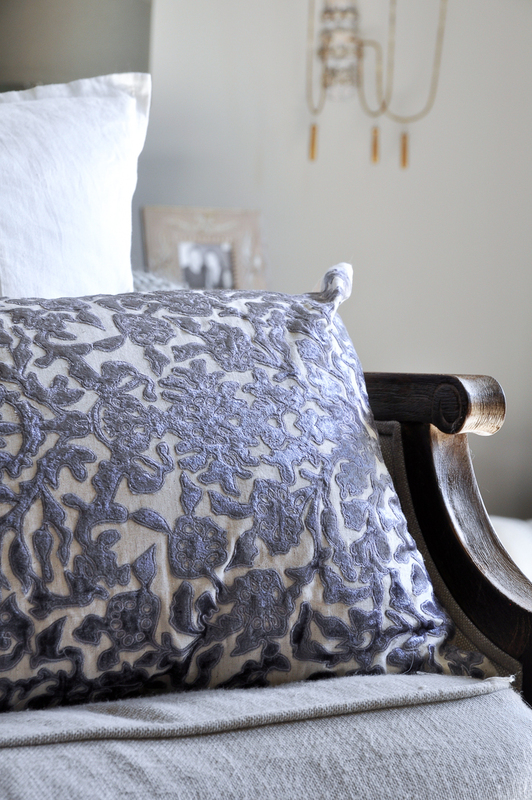 I wanted to feature textured pillows including velvet and the heavily textured lumbar. 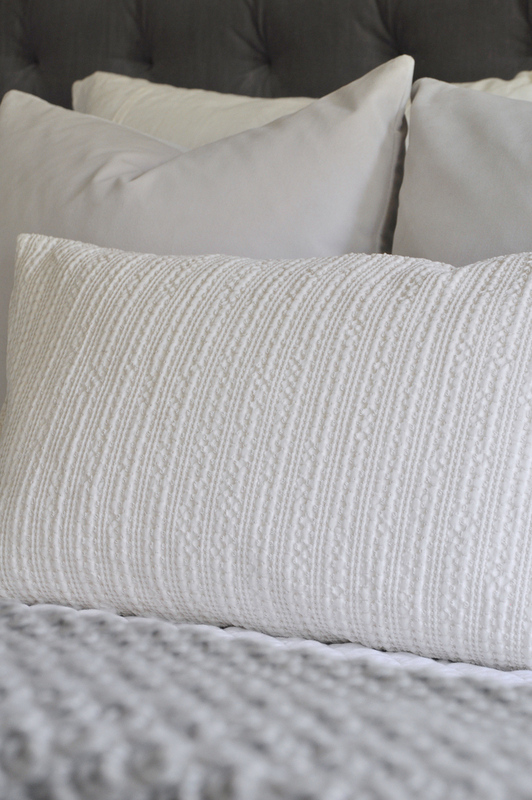 This pillow adds both my fall color and texture. I love medium sized baskets. 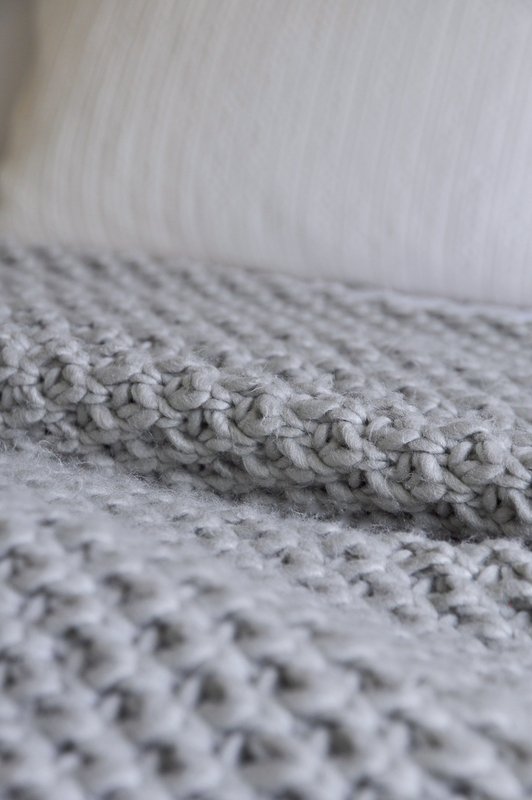 Here, I have styled one with an additional throw for a cozy look. And by the end of my shoot, my little friend make his way onto the bench. This is his favorite spot in the entire home. 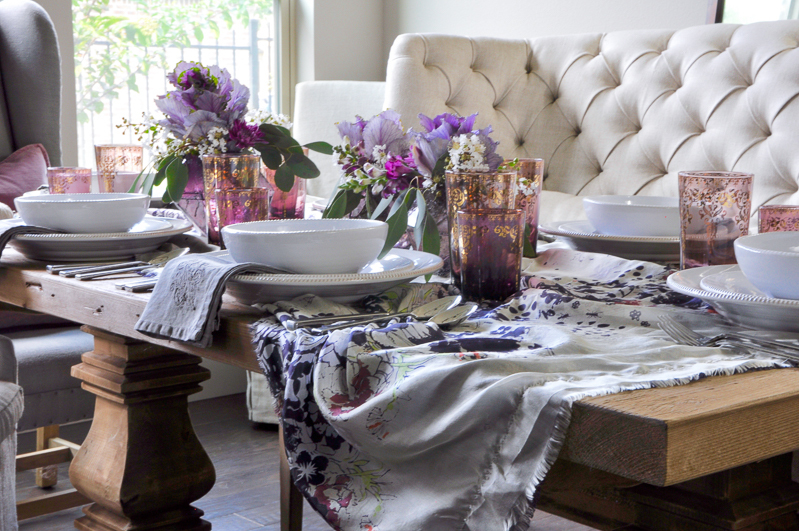 My formal dining room is my last featured space. 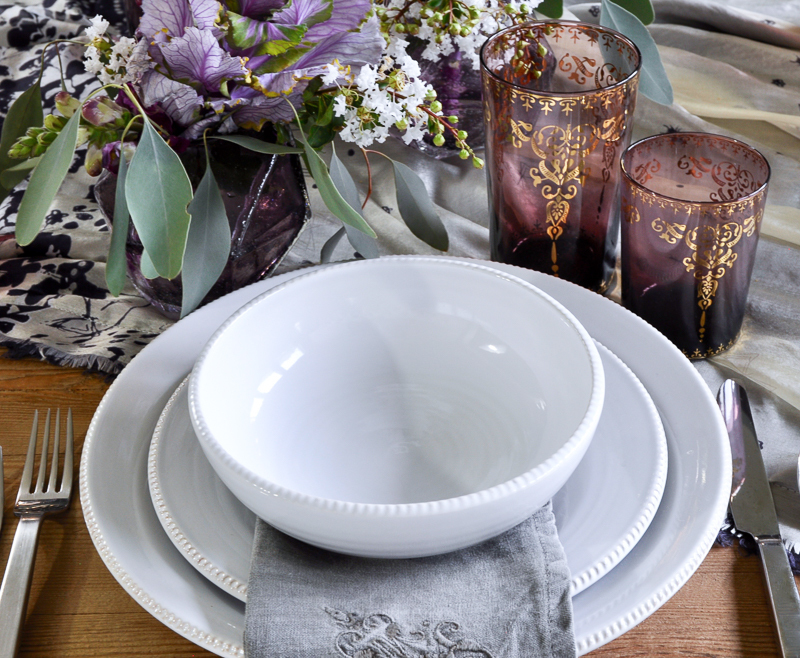 There is no better time of year to think about beautiful tablescapes than fall, just before the holiday season is upon us. I started with this cute velvet pumpkin which I fell in love with as soon as I found him. I also added this scarf to the table. It’s actually a fashion piece, so I’ll be able to use it over and over again. And of course, I added purple. 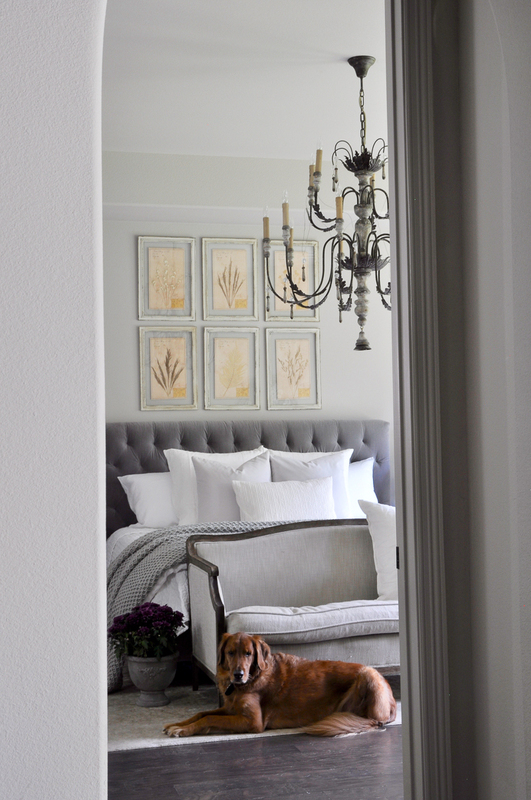 Any color can be added which is one of the reasons I chose a predominately neutral color palette when designing my home. 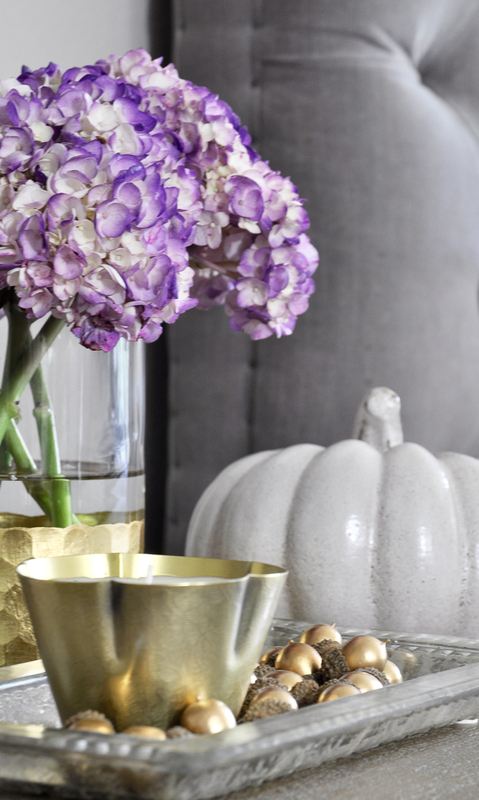 This fun vase started my purple crush this fall. 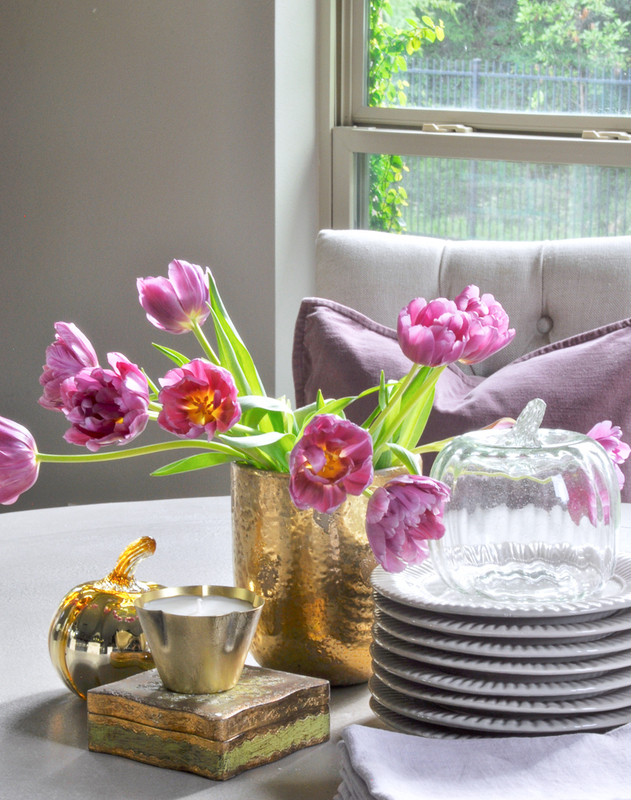 The glassware is more of a plum shade. 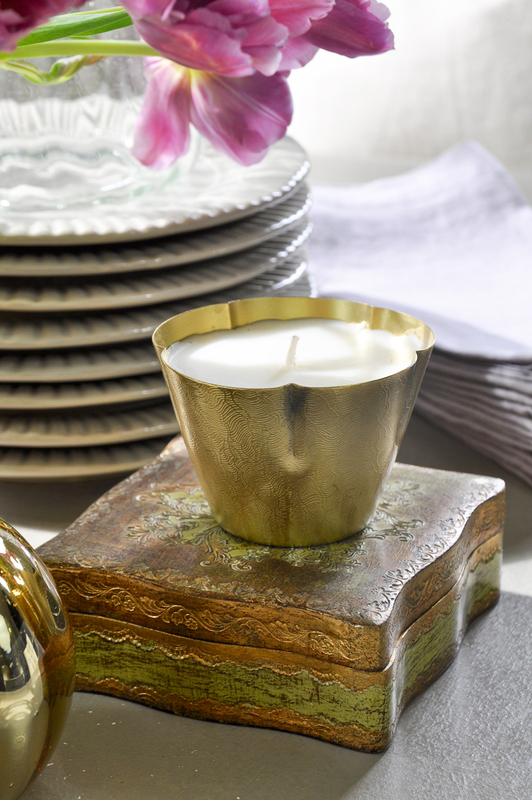 I used my white everyday dishes in order to allow the gold to stand out. 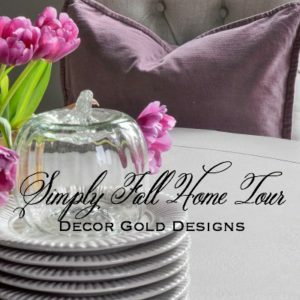 To see my heirloom pieces, click here. Just a few more accents…..
For additional information, please visit my sources page. Thank you for visiting! I truly appreciate the time you have shared with me here. 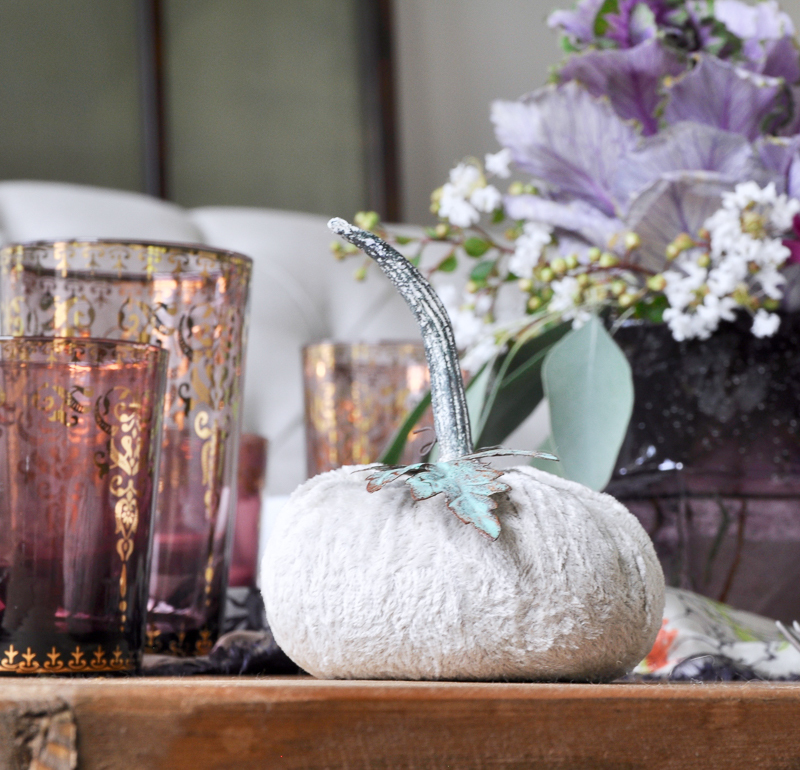 If you would like to see more of my home decorated for fall, you can do so here and here. You can also see my fall patio here. 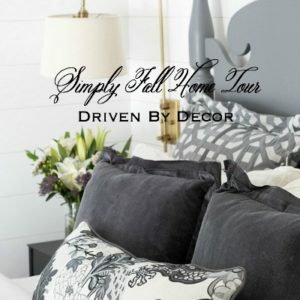 Next stop, Driven by Decor! Kris has outdone herself with the most beautiful natural elements and unique ideas. Don’t miss the gorgeous basket of sunflowers in her home office! 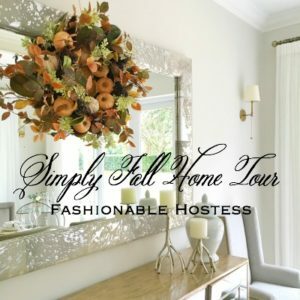 Below you can find links to all of the talented bloggers participating in the Simply Fall Home Tour. 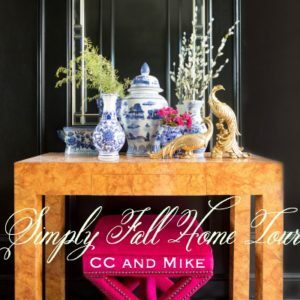 Just click the image to go directly to their tour. Enjoy! Jen! All that purple and gray is just stunning! 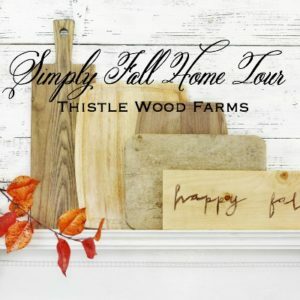 I absolutely love fall in your home! Thank you so much Kelley! You know I can’t stay away from purple! I hope you have a beautiful day! 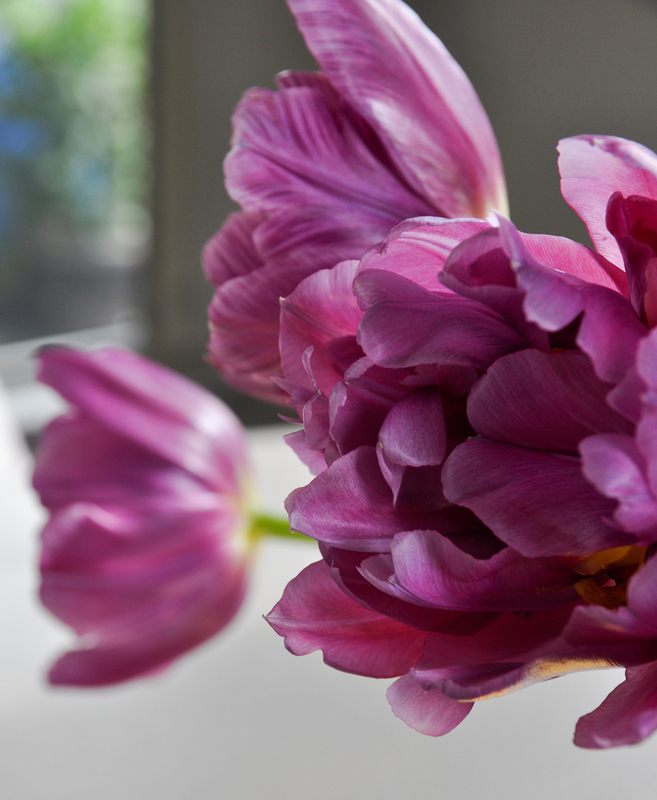 I never knew how much I adored purple until I came over here! And that sweet pup? SERIOUSLY! You did? Wow we are on the same wavelengths right now!!! I bought four because I’m obsessed with them! Lol. Thank you so much for your kind words. And yes, Riley is probably more like super glue than velcro, but that’s his name. Have a wonderful day and week. 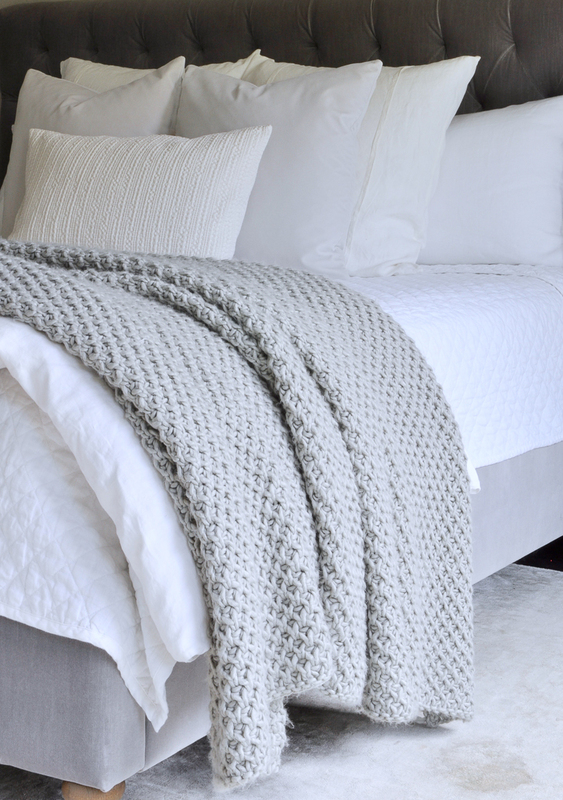 Wow your bedroom is soooo gorgeous! Thank you so much Amanda!!! I thought your tour was amazing! So true to your style! Jen your tour knocked my socks off!!! Everything is so dreamy! 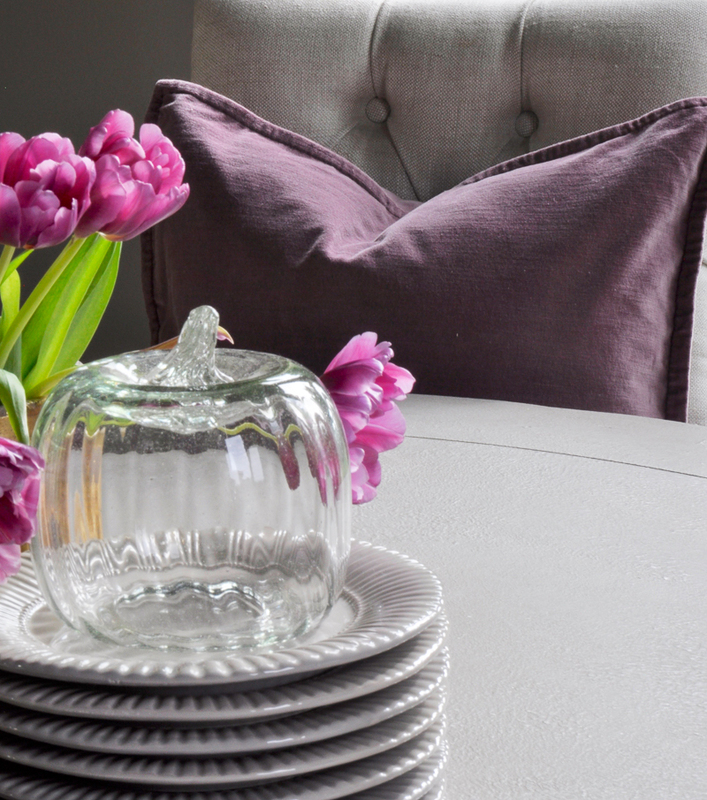 I love the unexpected purple throughout your home! You are so talented my friend! I adore you! Thank you so much Randi! You are such a blessing in my life and I value your friendship immensely. I had so much fun doing this tour with you! Love all your decorations! Such inspiration! 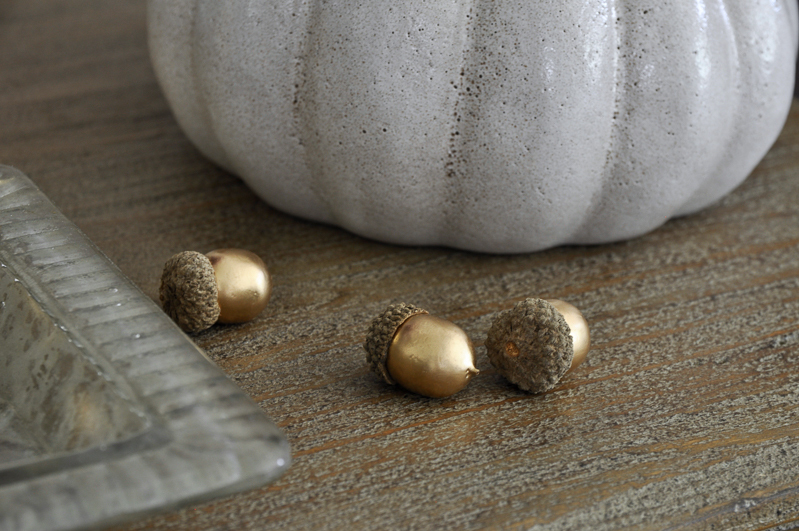 Did you paint your little gold acorns? Thank you so much Audra! I didn’t paint them. PB had both the ones I linked and the gold ones, but they must be out of the gold ones. They are exactly the same other than the color so they could be painted. Hope this helps! Absolutely beautiful tour, Jen! 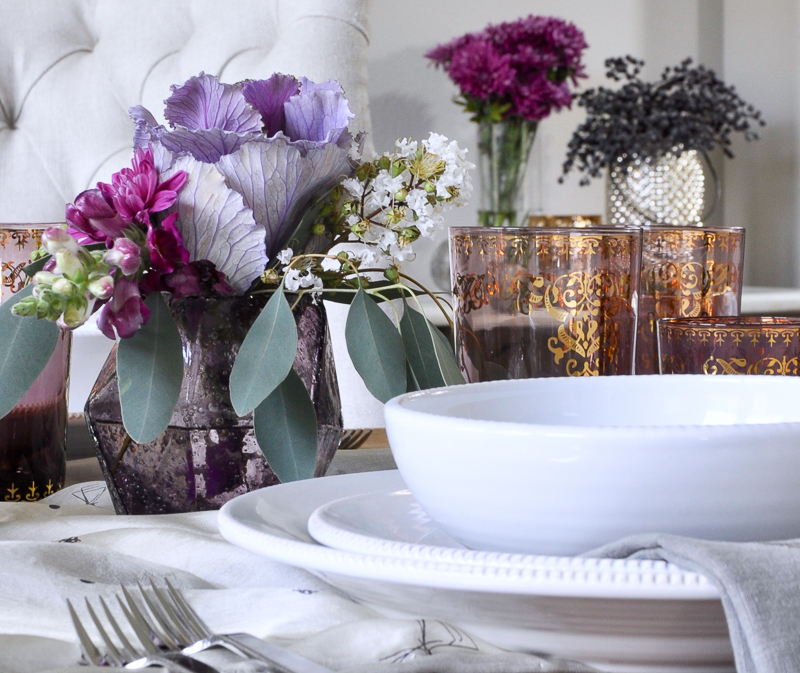 I love the purple with your decor and how rich and elegant it is. 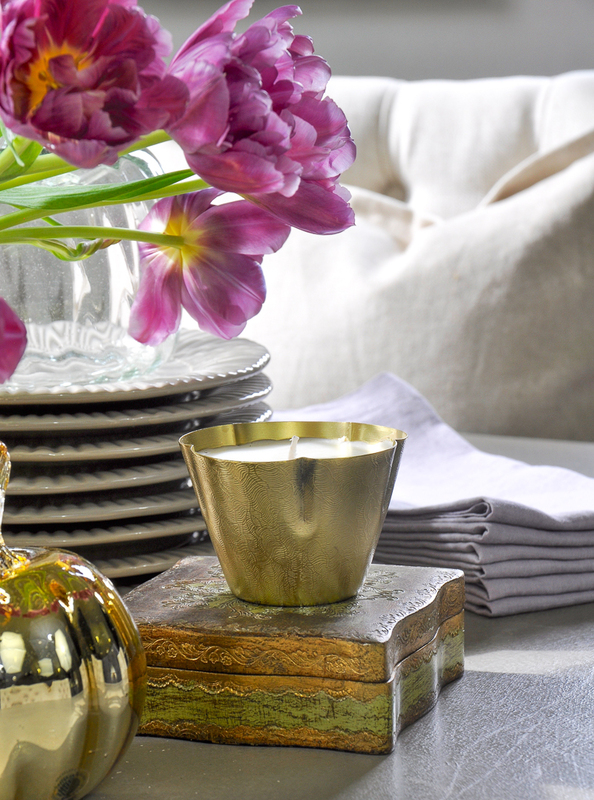 Your home is a true showstopper! Loved it all! Ummm….hello girlfriend. Let’s just start with a blanket? Are you kidding me because that was ridiculously amazing. Every single picture, every single part. But we gotta chat. Because your photography is on point and sorry I’m not sorry that I’m going all photography geek on you right now but I HAVE to know what lenses and camera you are using. Chat soon! And thank you for inviting me to be a part of this. I still can’t believe I’m being included with you amazing group of women! Beautiful dog! I have a Velcro Lab named Dixie! How brilliant! 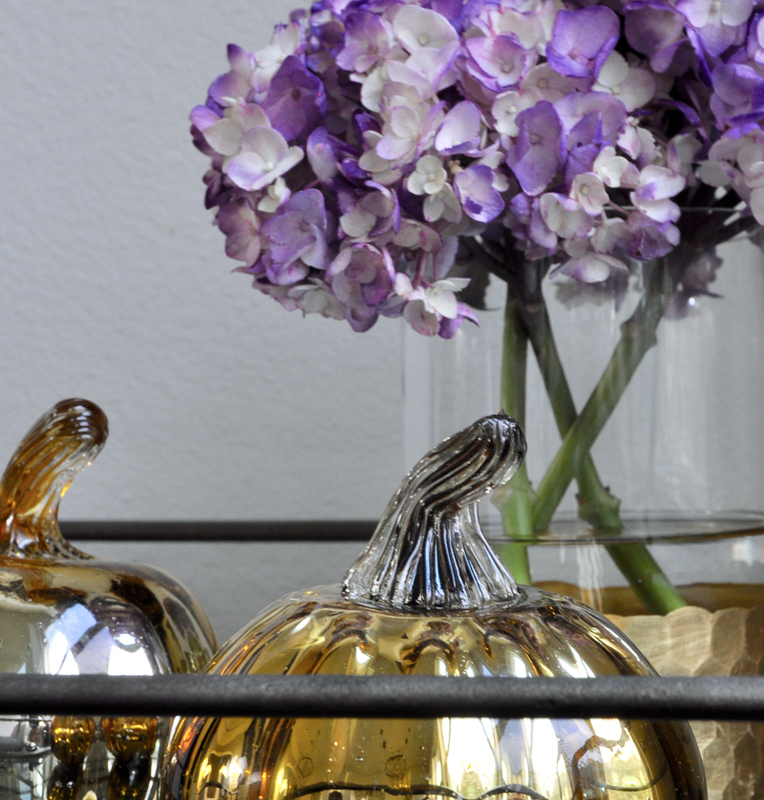 Who knew that Fall could be reflected so beautifully in the purples, grays., pinks and golds. You have stayed true to your style! 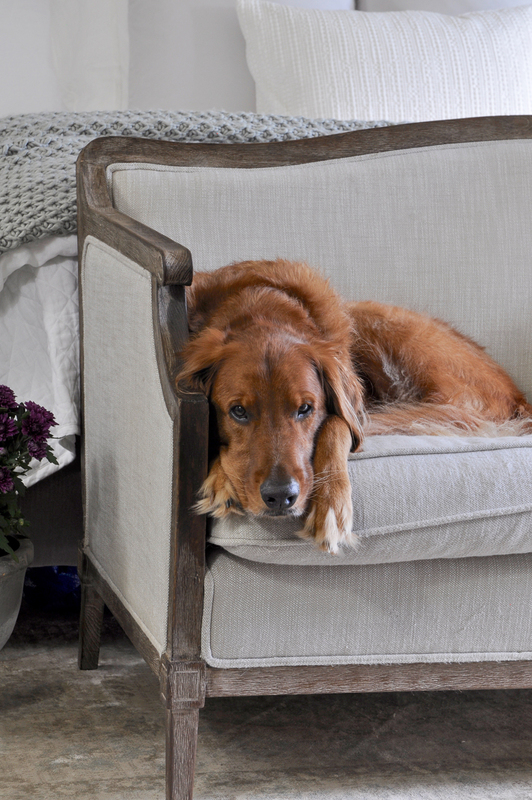 Love your “Velcro Golden” … What a coppery beauty! 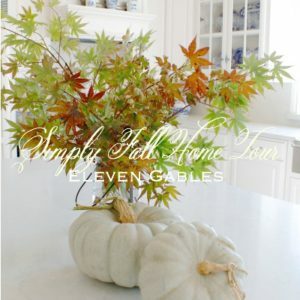 Happy Fall and thank you for sharing your beautiful home. Thank you so much Gretchen! Your sweet comments made my day! 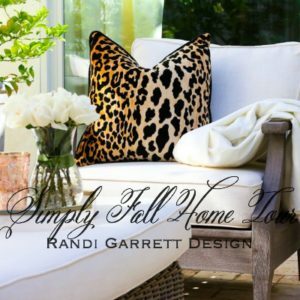 Fall is always a bit more challenging for me, so I truly appreciate you saying I stayed true to my style. And thanks from Riley too! Thank you Lauren! I love to hear that your cat is a velcro. She must be a sweetie!!! Just magnificent, my friend! I love your style so much! 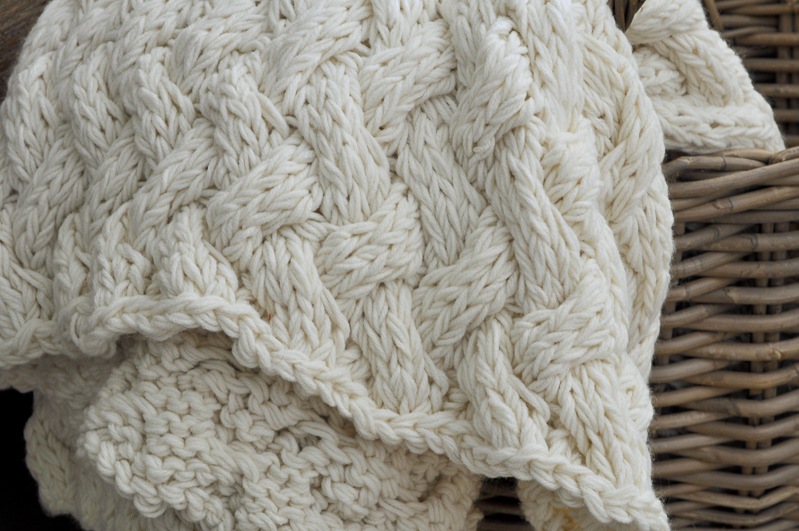 I loved seeing a close-up of each texture and layer you added and each item. So, so good! Muah!! You are so sweet Summer! You know I have to make it look like fall even when it’s still 90 degrees in Texas! Thank you friend! Hi Anna! Thank you so much! 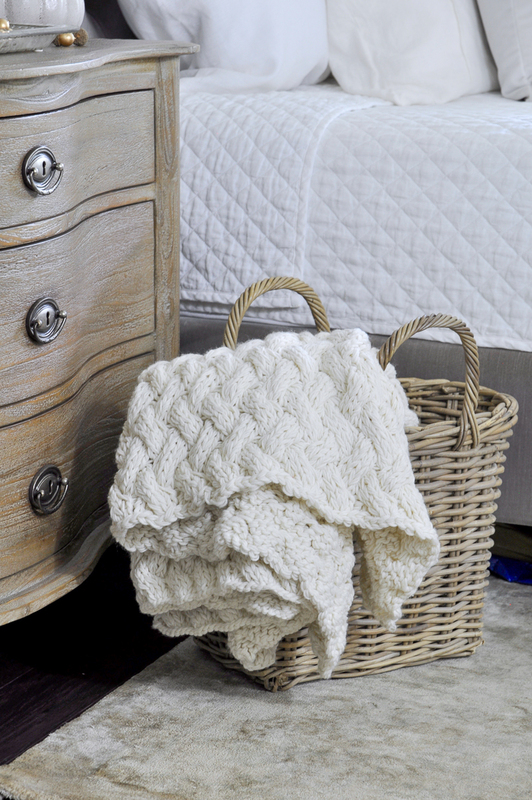 We sleep with just a blanket or the quilt and if it’s extra cold, we use the comforter too. I put the decorative pillows and the comforter on a lounge chair I have in the corner. 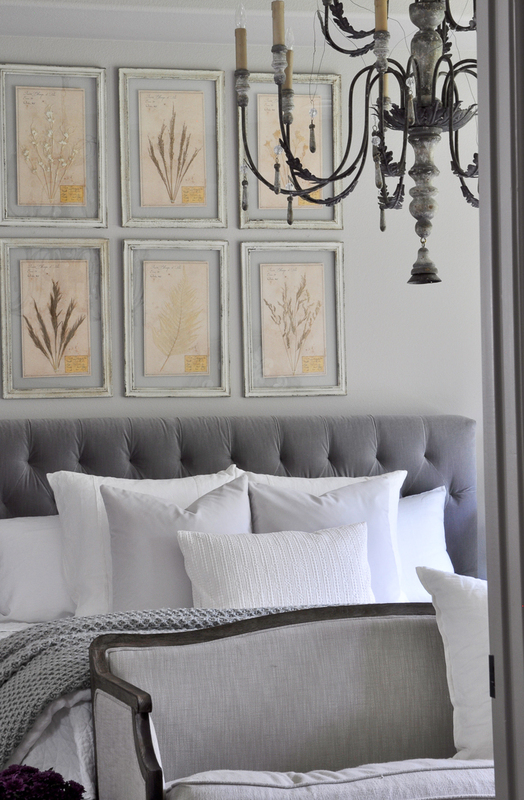 You can see it here https://www.decorgolddesigns.com/master-bedroom/. Hope this helps! 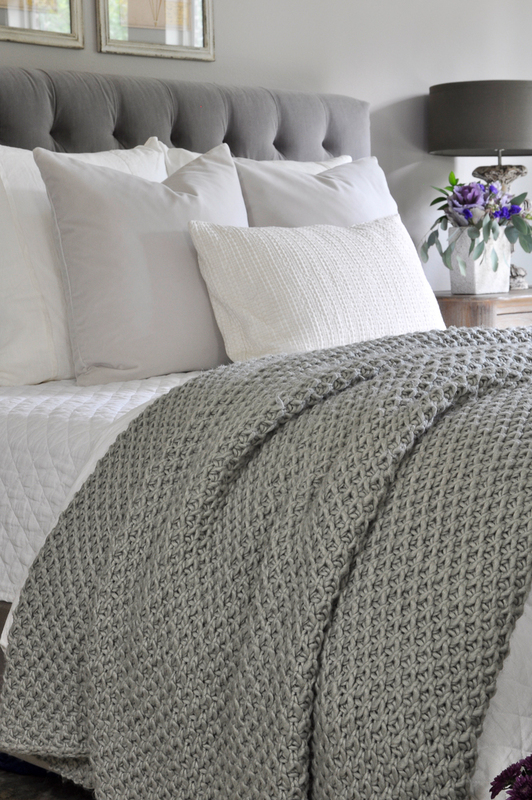 I’m in love with they gray throw blanket across the bed.. I was curious if it was purchased from HM like the link takes me.. The one they have now has strings hanging on each end as yours does not!!! Thank you so much! Gorgeous home!!! Hi Kaitlyn! Thank you! I purchased it on clearance about three years ago and it has long since been discontinued. The one I linked is very similar. I actually have it too. Hope this helps!